Kids' Favorite Fortnite to Be Banned in China? You are at:Home»Life»Community»Kids’ Favorite Fortnite to Be Banned in China? If your kids play video games, then the chances are they spend a significant amount of time playing Fortnite. The game, in which 100 players battle to be the last survivor in a landscape where they can construct their own fortifications, has become a global phenomenon, attracting over 125 million users since its release last year, and is particularly popular with younger gamers. However, a document circulating on the Internet suggests that Fortnite is about to be banned in China. Following concerns about the impact of gaming on children, China established an Online Games Ethics Committee to review and censor content. The committee has examined 20 games, with 9 facing a total ban and 11 requiring revision to be approved. 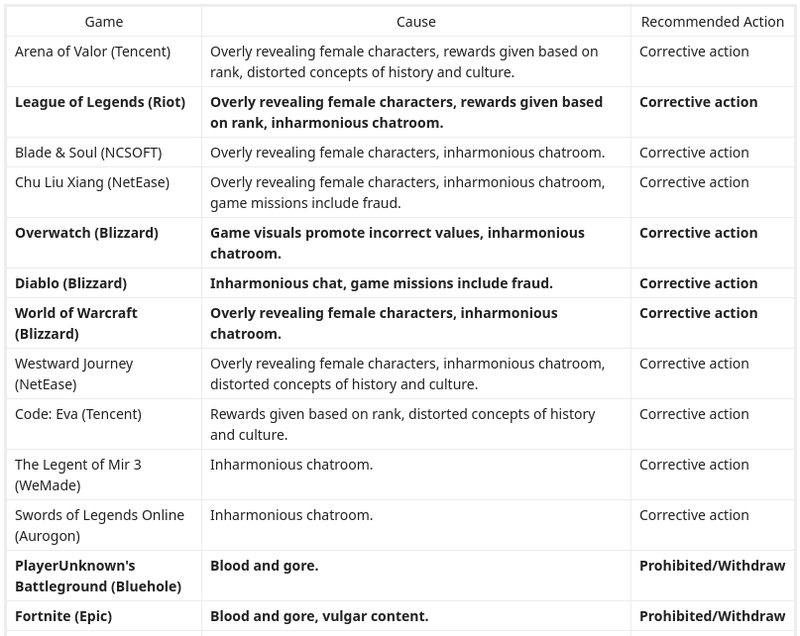 No official announcement has been made as to which games they are, but a spreadsheet which has been widely shared online purports to be the committee’s leaked judgment and shows Fortnite as one of the games to be prohibited, for “blood and gore, and vulgar content”. Chinese netizens have expressed some skepticism as the authenticity of the document, pointing out that it’s a simple spreadsheet which could easily have been produced by anybody. The document also lists Player Unknown: Battlegrounds, another game popular with Western players, as scheduled for prohibition. Other games such as Overwatch and League of Legends face censorship for “overly revealing female characters” and “inharmonious chatrooms”. The latter comment appears to criticize games companies for inadequate supervision of conversations between players. While it’s impossible to say whether the spreadsheet is genuine, there are some intriguing implications. “Distorted concepts of history and culture” are targeted in games with a Chinese wuxia setting, while two games are lambasted for “rewards given based on rank”. Irrespective of the authenticity of this document, it’s clear that the government wants to keep a much tighter grip on games companies, amid increasing alarm about the amount of time children spend on screens.